A colleague recently introduced me to Rubi Star. I don’t know how I ever lived without it! Rubi Star is a FREE online tool for generating custom rubrics. All you have to do is choose your subject and the specific categories (i.e. grammar, content, etc.) you will be grading. Then, it automatically generates a description for each point value. Don’t worry, Rubi Star lets you edit the content it generates. I love this feature because I find it necessary to make some edits in order to make my Rubrics first grade appropriate. Rubi Star takes care of all the complicated formatting work for you. You can create a free login and password to save your rubrics and make them available to yourself in the future. Check out Rubric ID#1477966 for a sample of a Writing Rubric for a Writer’s Workshop Final Copy I just used in my classroom. My friend Margaret, sent me the link to Lost for Words (a show about reading in the UK) today. The site explains, “Lost For Words is a Channel 4 season of campaigning programmes to get all our kids reading.” I was immediately intrigued by the program and the website because as a former Comparative Education major and early literacy teacher in Japan I have always been interested in how schools in different countries approach similar problems such as closing the achievement gap and teaching children how to read. The site is filled with lots of videos, information on learning and and tips for teaching reading, and in particular information about synthetic phonics. Reading Groups is the hot topic in my school right now. We are all stuck in the same boat… we know exactly what we are supposed to do. However, running reading groups with 33-35 kids is a classroom management nightmare. I was lucky enough to have a fantastic Reading Specialist in my school my first year of teaching. She went out of her way to spend time with me and teach me a management method that makes it possible to do groups in such an overcrowded classroom. To start with, I divide my kids into 3 groups. Yes, just 3 groups. Each day, the groups do 1 of 3 things: Work with the Teacher, Seatwork, or Centers. The “Work with the Teacher” group is pretty self explanatory. I do a guided reading of a leveled reader with the group. The “Seatwork” group stays at their own desks, and I have a phonics page or a comprehension page ready for them to work on. It is very important that the page is leveled to the group – don’t make it too hard for them to do on their own. The “Centers” group is subdivided into three groups. Currently, I have a listening center, a game board center, and a library center. Again, it is very important that these centers have activities that are at the kids’ level so they can work independently. With more than 21 million unique users in the U.S. and 90 million worldwide, Yahoo! Answers is the largest knowledge-sharing community on the Web. It’s an online community where anyone can ask and answer questions on any topic. Yahoo! Answers connects people to the information they’re seeking with those who know it. Everyone has life experience and knowledge about something, and Yahoo! Answers provides a way for people to share their experience and insight. 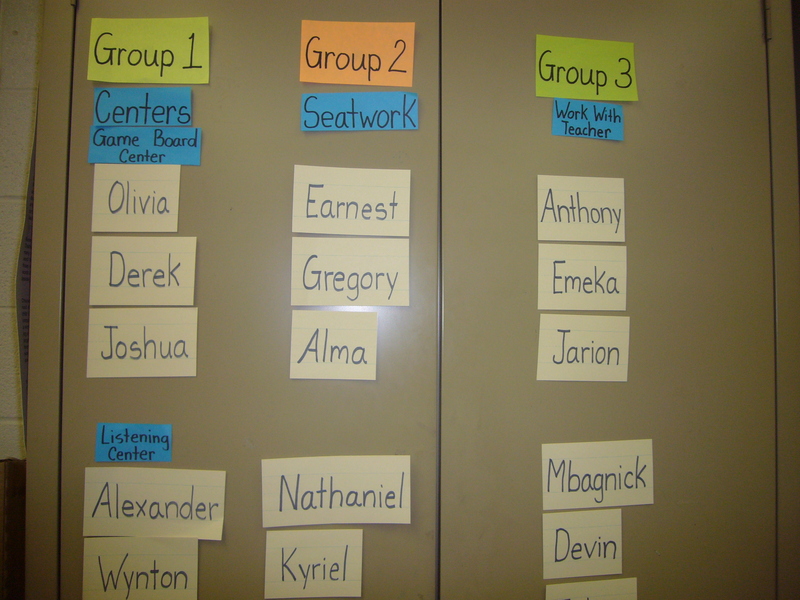 1) How can I get literature circles up and running in my first grade classroom? 2) In reading comprehension strategies, what is meant by a self monitoring lesson? 3) Where can I buy big books? 4) Is there a forum where teachers in India can get ideas for lesson plans or share ideas related to teaching?